Like most hospitals, a metro-area children’s hospital was constantly being remodeled and reconfigured. Typically, portions of the fire alarm system would be disabled while areas and zones were under construction, and false alarms were a frequent problem — especially for caregivers in the pediatric intensive care unit, where children couldn’t be moved without upsetting patients and parents alike. The hospital hired David, a maintenance engineer, to coordinate the alarm system during the construction process — and to eliminate false alarms. At first, David was overwhelmed. 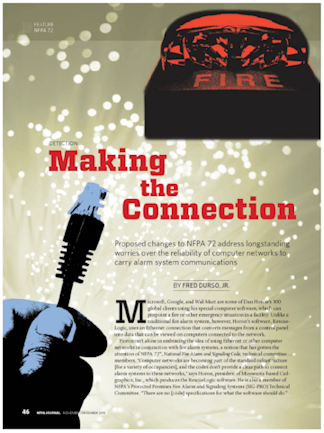 No one had really tracked the changes that had been made to the alarm system since it had first been installed 20 years earlier. Since that time, new alarms and new panels from several manufacturers had been added to the system. Hundreds of alarms and devices that were listed on alarm spreadsheets were officially “missing” from the system. And while several divisions had architects’ drawings, blueprints, and floor plans for their own departments, no one had a complete set of current drawings for the entire site. Then David remembered that RescueLogic had been used successfully at another hospital he visited in Minneapolis. He immediately ordered a copy of the software for the children’s hospital. David had an old spreadsheet file listing every alarm and device that was supposed to be installed in the hospital’s alarm system. He imported the file directly into his RescueLogic database — a process that took less than five minutes, start to finish. David also used standard cable to connect the hospital’s alarm panels to his RescueLogic computer. It took him about 30 minutes to import a complete list of every alarm and device, straight from the panel into his RescueLogic database. He scanned all of the current floor plans that other hospital departments had on file, and imported them into his RescueLogic system. Then he required all of the contractors who were currently working in the hospital to prepare accurate CAD files for their remodeling projects. All in all, the process of gathering background images for his RescueLogic maps and floor plans wasn’t much different than working with photographs that had been scanned or imported from a clip art CD. David printed hard copies of his new RescueLogic floor plans, and he took the printouts with him to verify the location and testing of every alarm in the database. If an alarm was in the right place on the RescueLogic floor plan, he circled it on the printout. If an alarm passed a smoke or magnet test, he marked it with an “X.” And if an alarm was in the wrong place on the floor plan, he noted the correct location and went back to his RescueLogic computer, where he could simply reposition it. Before long, David knew where every device was located, and he knew that they were all in working order. From that point on, David could use RescueLogic to schedule and control which parts of the alarm system should be disconnected, so the areas of the hospital that weren’t under construction were still fully protected. He added notes to the RescueLogic system about which contractors were in the building, as well as their timelines and their contact information. And he programmed RescueLogic to automatically filter alarms that came in as a result of construction. Meanwhile, word also began to spread that David now had a complete set of current floor plan files for the entire site. His colleagues in the maintenance department began to request RescueLogic printouts for their repair, cleaning, painting, and electrical projects. The public relations department asked for copies of the floor plans to use in visitor handouts. 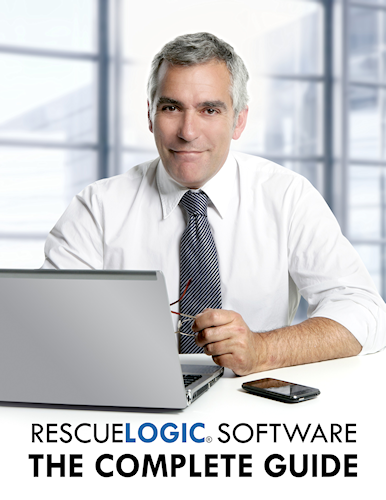 David’s innovative use of RescueLogic was winning him friends facility-wide.